If it's paranormal, we'll talk about it! Seen Bigfoot lately? How about Nessie or a UFO? Live in a haunted house? Was that foggy thing a ghost or just last night's Mexican dinner? Every now and then I'll do a Tarot Show where I give FREE readings on the air! Got a great idea for a show topic or guest? 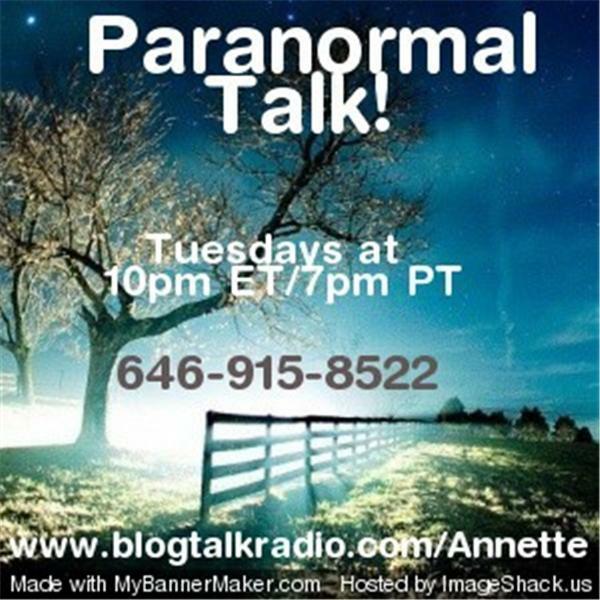 Drop me a line at paranormaltalk@yahoo.com. Call me or join the fun every week in the chat room! Paranormal Talk™ - LIVE Haunted Hospital Investigation! Join me and my team, Hub City Paranormal, as we join forces with the Pampa Texas Paranormal Research Society to investigate an abandoned hospital. There have been reports of apparitions, objects being thrown, voices, babies crying, knocking, wailing, and shadow people. We hope to do a video feed live as well at http://www.justin.tv/dsguthrie67 If that's not possible, the video will be available for viewing on November 1st at the same address. Call-ins welcome! Music used with permission. UPDATED! The screw throwing incident at the end of the show turned out to be a joke perpetrated by Joel, one of the investigators for PTPRS. Yep, he got me good, with a little help from his friends! Paranormal Talk™ - FREE Tarot Readings! Call in for your FREE mini-tarot reading! Music used with permission. Paranormal Talk™ - The Legendary Kenny Kingston! We bring Psychic Month to a close with Mark Anthony, the Psychic Lawyer! He's a medium who communicates with spirits, descended from a long line of psychics. Call in for your FREE mini-reading with Mark! Music used with permission. Psychic Month continues with psychic medium Ericka Boussarhane. She is a gifted and talented psychic who has been with us before. Call in for your FREE mini-reading! Music used with permission. Call in for your FREE mini-tarot reading with Annette! Music used with permission.